Coming of age traditions, while different across the world, are seen in almost every society. In many cultures, the transition from childhood to adulthood is marked by a coming of age tradition. In some, such traditions are associated with the arrival of sexual maturity in early adolescence; in others, it is associated with the arrival of new religious responsibilities. Often, coming of age traditions are religious, and signify that the individual is taking on a different role in his or her religious life, such as the Jewish bar mitzvah or Hindu ceremonies celebrating maturity. Other times these traditions are secular in nature and can range from legal benefits to extravagant parties. coming of age: A person’s journey from childhood or adolescence to adulthood. “Coming of age” refers to a young person’s transition from childhood to adulthood. The age at which this transition takes place varies among different societies, as does the nature of the transition. It can be a simple legal convention or can be part of a larger ritual. In some societies today, such changes are associated with the arrival of sexual maturity in early adolescence; in others, it is associated with the arrival of an age at which point one carries religious responsibilities. In western societies, legal conventions stipulate points in late adolescence or early adulthood that mark the age of maturity are the focus of the transition. Still, many cultures retain ceremonies to confirm the coming of age and benefits come with the change. Religion is often a determinant of when and how individuals come of age. When members of the Baha’i faith turn 15, they reach the “age of maturity” and are considered spiritually mature, and are responsible for individually determining whether they wish to remain members of Baha’i. Those who declare that they wish to remain members of Baha’i are expected to begin observing certain Baha’i laws, such as obligatory prayer and fasting. In many Christian churches, a young person celebrates his or her coming of age with the Sacrament of Confirmation. Some traditions withhold the rite of Holy Communion from those not yet at the age of accountability on the grounds that children do not understand what the sacrament means. In some denominations, full membership in the church, if not bestowed at birth, often must wait until the age of accountability, and is frequently granted only after a period of preparation known as catechesis. The time of innocence before one has the ability to understand truly the laws of God, and during which God sees one as innocent, is also seen as applying to individuals who suffer from a mental disability which prevents them from ever reaching a time when they are capable of understanding the laws of God. These individuals are thus seen as existing in a perpetual state of innocence by the grace of God. In Islam, children are not required to perform any obligatory acts of Islamic teachings prior to reaching the age of puberty, although they should be encouraged to begin praying at the age of seven. Before reaching puberty it is recommended to pray in obeisance to Allah and to exemplify Islamic customs, but as soon as one exhibits any characteristic of puberty, that person is required to perform the prayers and other obligations of Islam. 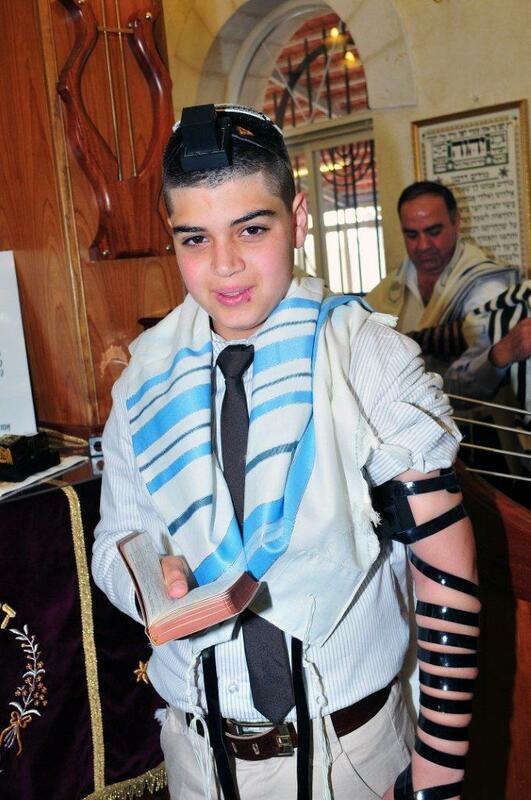 In the Jewish faith, boys reach religious maturity at the age of 13, signified by their bar mitzvah ceremony. Girls are believed to mature earlier and can have their bat mitzvah at the age of 12. Once the ritual is done, the new men and women are looked upon as adults and are expected to uphold the Jewish commandments and laws. Coming of age initiation rituals can occur in various professional organizations. In many universities of Europe, South America and India, first year students are made to undergo tests or humiliation before being accepted as students. Perhaps the oldest of these is “Raisin Monday,” which is still ongoing is at the University of St. Andrews in Scotland. A senior student will take a new student and show him or her around the university. In gratitude, the new student will give the senior student a pound of raisins, for which the senior student gave receipts. If a new student later fails to produce the receipt that demonstrated his gift upon command, he could be thrown into a fountain. Universities in Chile follow an annual ritual called “Mechoneo” (the act of pulling somebody’s hair). First year students are initiated by theatrical “punishment. ” Freshmen are tied together while upperclassmen throw them eggs, flour, water, etc. Some universities have traditional ways of initiating freshmen. In the United States, these sorts of initiation rituals are most commonly found in fraternities and sororities. Greek organizations may have different processes for associate members, also known as pledges, to become a member. Bar Mitzvah: This thirteen-year-old boy is dressed in the religious garb and symbols of the Jewish faith on the day of his bar mitzvah. He is about to be recognized as an adult by the Jewish community.